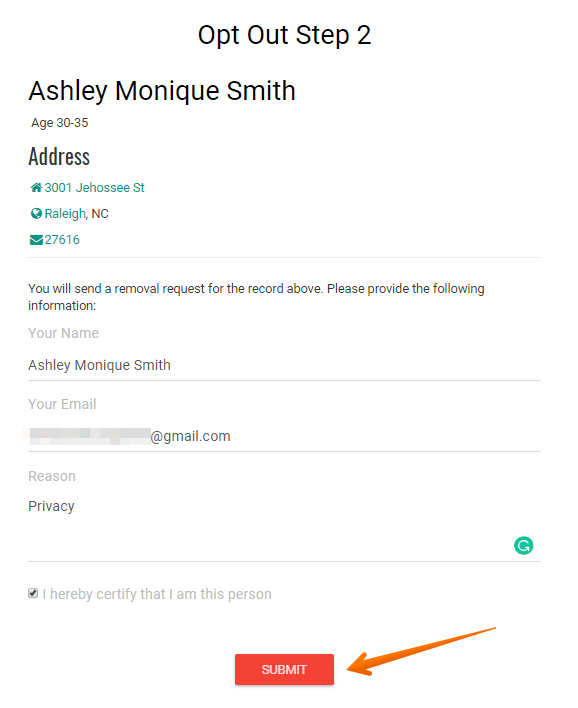 People-search.org exposes diverse types of information such as names, forenames, age, current address, previous addresses as well (with postal codes), phone number and relatives. 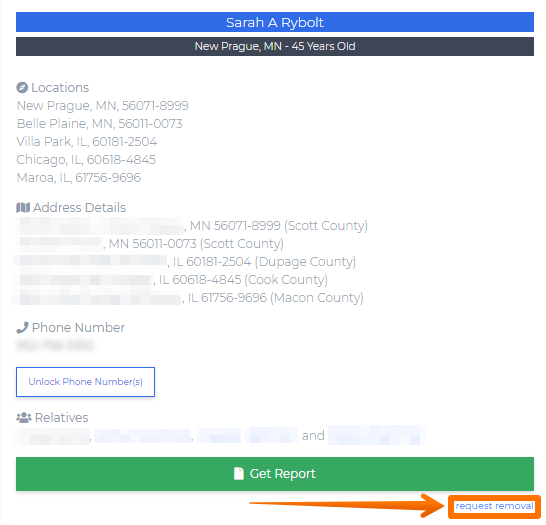 There are also searches based on name and address and searches based on phone number. How to remove your information from people-search.org? 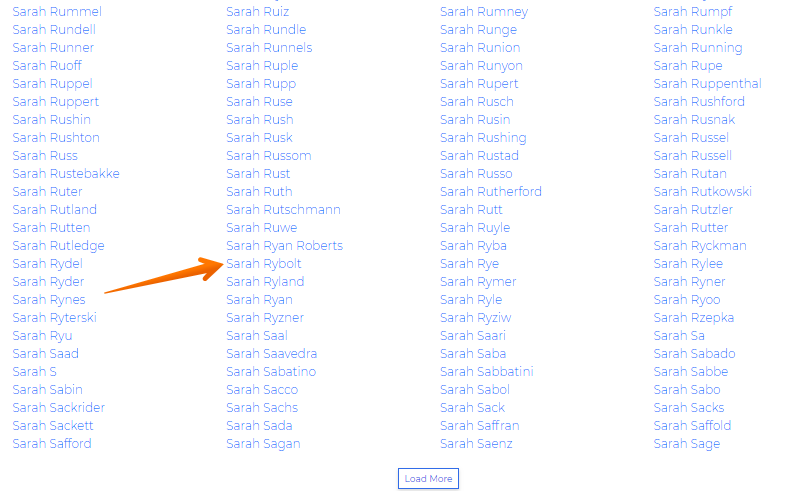 Go to the website, scroll down the page and click on the ‘Names Directory’. Choose a letter your name starts with. Let’s say it’s a letter S and your name is Sarah. Click on the ‘a-h’ link since the next letter in this name is ‘a’. 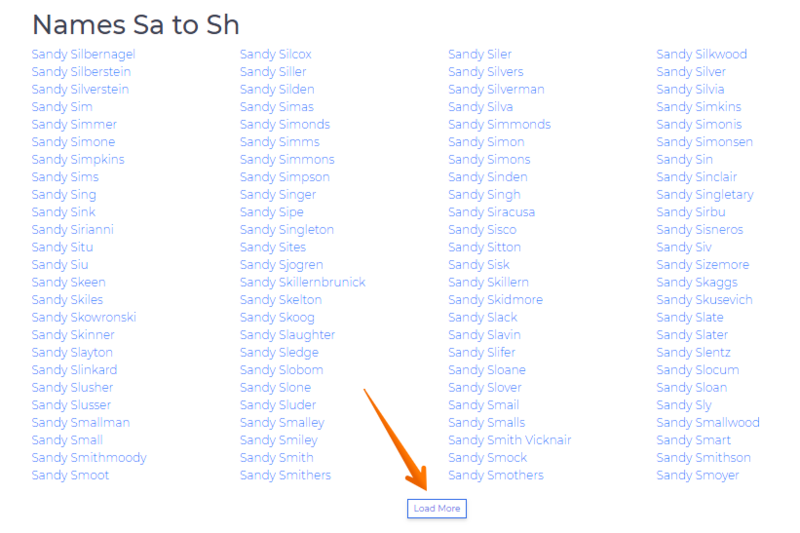 Click ‘Load More’ to have more options if haven’t found your name. Once you’ve found the right name and surname and click on it. Click on the ‘request removal’ link.